Fall in Love with Me. Hmmm, yes, yes, I’d fall in love with you Aaron Yan, you’re some very delicious eye candy! Yum, yum, yum, I can just stare at you all day long. However, it’s a different story for the drama itself. I didn’t plan on watching this latest SETTV Sunday prime-time drama but somehow I got lead to watching it. Maybe it was because of the addicting theme song “1/2” sung by Aaron Yan and G.NA that I am absolutely loving was what lured me into watching the drama? But in all honestly, I wasn’t even watching as such. I was literally half-watching, half-skipping through the first two eps and trust me, you don’t miss out on anything by doing so. 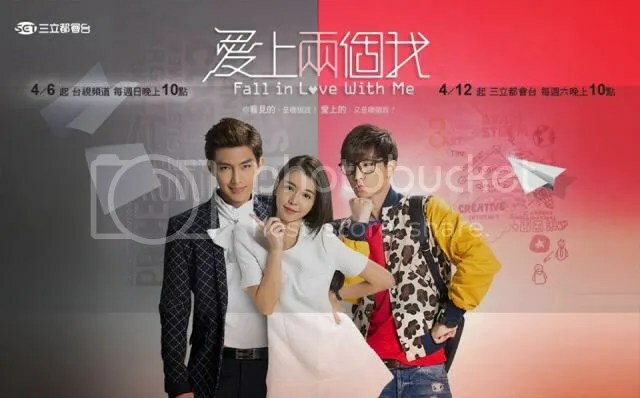 FILWM, lead by Aaron and Dream Girls member Tia Li, is your typical idol drama filled with the same clichés and leads not to mention if follows the same overused plot. If I were to describe this drama in one sentence I’d say that it is a drama filled with clichés with a lack of chemistry from the two leads. Really, because what I see on screen are some very forced, smashed together scenes as well as chemistry which feel very forced. Well, I guess if you have Aaron there as some delicious eye candy then it’s watchable, right? Who can resist Aaron’s charismatic charms?